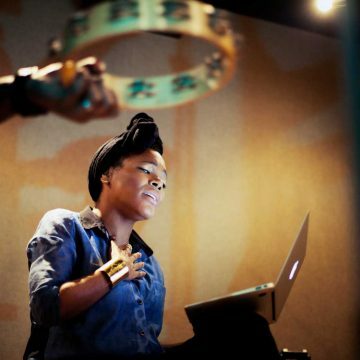 China Moses is the daughter of jazz singer and multiple Grammy award winner Dee Dee Bridgewater. Her father was the legendary theater, film and television director Gilbert Moses. So the apple didn’t fall so far from the tree. Music has played an important role in her life, as well as acting, as her concerts prove. China Moses dared to take her first steps as a singer while still a teenager (the video clip of her first single, Time (1996) on YouTube is well worth watching!). In 1997 she released her debut album, China, which included a guest appearance by hip hop legend GURU. With two more acclaimed albums as well as numerous feature engagements, she has established herself as a much-sought-after vocalist in the emerging R&B scene of her chosen home town, Paris. She also worked as a presenter on MTV France. The international breakthrough came in 2008 with the jazz album This One's For Dinah (2008), a declaration of love for her musical idol Dinah Washington, in collaboration with the French pianist Raphaël Lemonnier. 2012 followed with Crazy Blues, another mix of jazz, blues and pop hits. Suddenly, China was thought of as a singer of jazz and blues standards. With Nightintales China proves she can do more. For the first time, her own songs are in the spotlight. 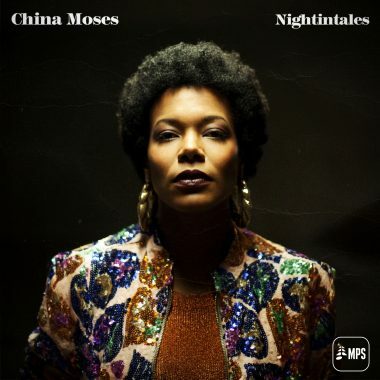 China pushes aside the aggravation of record companies and producers, of recording dates limited to music that was not of her own choosing; On Nightintales, China Moses demonstrates for the first time what she is really made of. In times of radical changes, this power-woman takes her stand.